- "FALLEN BUT NOT FORGOTTEN"
So my question is, who does this car belong to? It can't be an actual Navy SEAL, right? 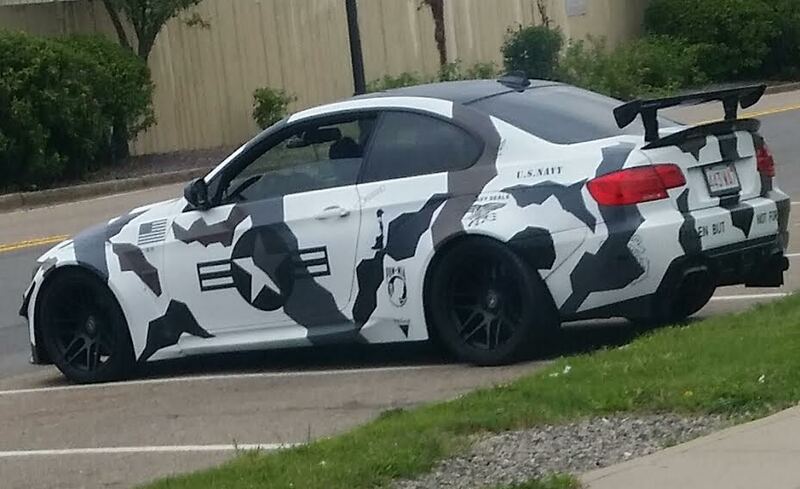 As far as I know, discretion is a big part of what they do, and this car is anything but. Could the vehicle be a tribute to a loved one who died in action? Maybe, but my guess is the owner is just somebody who thinks Navy SEALs are totally awesome.